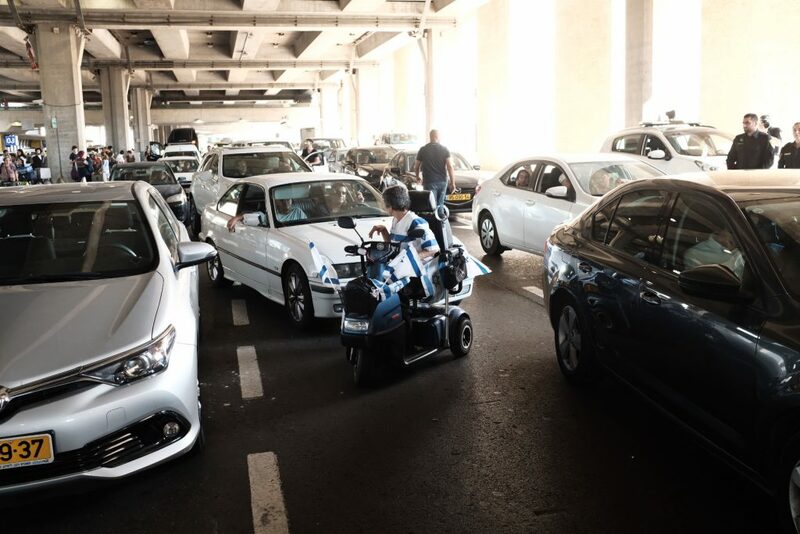 There was heavy traffic in and around Ben Gurion International Airport Tuesday afternoon, as dozens of disabled Israelis blocked the highway leading into the airport’s main departure terminal. Police said in a statement that they were directing traffic. Airport officials issued a call to travelers to arrive for their flights much earlier than usual, and to take into account the possibility that they would face major traffic delays. In February, after months of intensive protests by disabled groups, the Knesset passed a law that significantly raised benefits for the disabled. After three years, fully disabled Israelis will receive a stipend of NIS 3,700 per month, up from NIS 2,800. While the agreement was accepted by most disabled advocacy groups, several rejected it, and vowed to continue blocking roads and conducting other protests, until the government guaranteed full stipends for even partially disabled individuals.